Tesaro is to combine its PARP-inhibitor drug Zejula with Roche’s PD-L1 immunotherapy Tecentriq in clinical trials for metastatic bladder cancer. The alliance is important for Tesaro, which is fighting for market share in the PARP inhibitor class with Clovis’ Rubraca and AstraZeneca’s (AZ) current market leader Lynparza. The PARP inhibitor drugs have begun their battle in ovarian cancer, but are now expanding rapidly into other tumour types, and into combination trials. 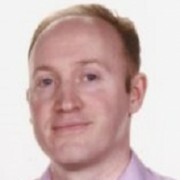 The combination is also significant for Roche, as last year Tecentriq registered a surprise failure in establishing overall survival as a monotherapy in the disease. It failed to show overall survival benefit in its phase 3 IMvigor 211 trial, potentially endangering its US licence in the indication. 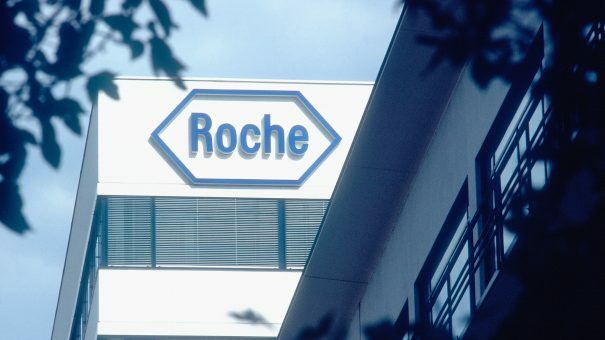 However a second phase 1 trial did suggest a positive overall survival impact, and Roche’s full data package was enough to persuade the EMA to approve the new indication in September. Nevertheless, combinations are the way forward in most tumour types, and the race is on to see which of the many permutations in the market will come out on top. “This collaboration enables us to expand the clinical assessment of niraparib and PD(L)-1 combinations beyond ovarian, breast and lung cancer,” said Mary Lynne Hedley, PhD, President and COO of Tesaro. The collaboration includes testing the experimental combination in MORPHEUS, Roche’s novel cancer immunotherapy development platform. MORPHEUS is a phase 1b/2 adaptive platform to develop combinations of cancer immunotherapies more rapidly and efficiently. The planned trial will be conducted by Roche’s Genentech division and is expected to begin in mid-2018. The new collaboration was announced yesterday, shortly after Europe’s CHMP gave the nod to an expanded use of AZ’s rival PARP inhibitor Lynparza in maintenance therapy for ovarian cancer. AZ’s drug (now co-marketed with Merck & Co) was approved in Europe in 2014, making it the first PARP inhibitor to reach the market, but currently can only be used in women with a BRCA mutation. Tesaro gained approval in Europe last November, and its licence allowed it to be used in the same ovarian cancer maintenance setting, but could be used in all patients regardless of BRCA status. Once the CHMP recommendation is approved by the European Commission, Lynparza will be able to compete head-to-head with Tesaro on all patients, regardless of their BRCA status. Meanwhile the third competitor in the market, Clovis, looks set to gain a CHMP recommendation next month, and anticipates final approval in the second quarter. 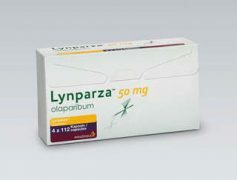 However Lynparza looks likely to dominate, thanks to the firepower of AZ and its new partner Merck & Co, who are investing heavily in trials to broaden its reach. AZ gained FDA approval for Lynparza’s use in breast cancer in January, and a data readout for its use in first-line ovarian cancer is expected shortly.